KUALA LUMPUR, Feb 10 (Bernama) -- For many, the arrival of the new year means making new resolutions, and Nadia is among those who have such resolutions. At a recent dinner here, Nadia confided to her friends that she has achieved one of her new year resolutions. "So fast? After all it is only February," one of her friends was heard exclaiming. Nadia, a 45-year-old private sector employee, said that she has only two resolutions for 2012: reducing her home's electric consumption, which she considers astronomical, and giving priority to green practices. She is adamant in trying to reduce the power consumption bill for her house, which is occupied by six people. The bill hits a hefty RM500 a month. Nadia and her husband are away at work during the day while her children are in school. The only person home alone during the whole day is her housemaid. Nadia has started to rummage through cyberspace to look on the internet for ways to reduce electricity consumption. From December in 2011 she ensured that dwellers in her home used fans instead of air conditioners. If her family members feel the need to use the air conditioner, Nadia makes sure that the temperature is set at 23 degrees Celsius. She has installed sun blockers on the three air-conditioners in her house as, according to the internet, this helps reduce power consumption. Nadia also makes it a point that her children switch off the light and fan every time they leave their room. They are also reminded to unplug any electrical equipment not in use. Nadia's housemaid was told to frequently clean electrical appliances (particularly those with filters) and to ensure that the refrigerator is not overloaded with contents and that hot foods not be placed in the fridge. When the maid is about to prepare meals, she has been told to take out all the items that she needs in one go and not to open and close the fridge door a number of times. "Each time the fridge door is opened, about 30 per cent of the cold air will dissipate," said Nadia. Nadia prohibits her housemaid from using the clothes dryer and instead must dry out the laundry under the sun. She also ensures that all laptops and the television are switched off when not in use. Nadia shed her old habit of asking the maid to iron the couple's garments every time they leave for office. Instead, the family's clothing is collected and ironed out by the maid at one go. Sound fussy? But all of these strategies appear to have been effective in reducing Nadia's electricity bill. When she received the electricity bill for January, the figure came as a pleasant surprise. She was elated, as one of her new year resolutions had been achieved, and she made this known to her friends at dinner. Nadia's ways of reducing power consumption are nothing new, as these have been recommended by experts and Tenaga Nasional Berhad, the national power utility entity. Even though Nadia has not adopted all the recommendations, what she has done is related to green practices. Before this episode, Nadia and her family were not used to promptly switching off any electrical appliances not in use and this was a factor that led to the rise of power consumption. Every ready mode in appliances (the green and red neon lights on the computer and television screen) contributes to power wastage, as do computer screen savers. According to studies, most computers consume double the power when the screen lights up. Not using screen-savers, or making the screen blank, will save electricity. At the recent 1 Green 1 Community carnival, Energy, Green Technology and Water Minister Datuk Seri Peter Chin Fah Kui called on the public to turn the green lifestyle into a culture by adapting green technology practices in their daily routine. "Among the simple practices that you can do at home and school is not to waste power and electricity, as well as use water and electricity wisely," he was reported to have said by the media. The minister said practicing environmental-friendly green practices is a smart way not only to limit the discharge of toxic materials into human surroundings but also help to conserve the environment -- apart from saving the power. Small and simple practices such as recycling, wise use of electrical appliances and saving consumption of water and electricity can change a person's life for the better. Green practices utilise green technology to reduce power consumption and boost the economic development of a country. Every user contributes to green-gas emissions with their daily activities, such as the utilisation of cars, power and chemicals. Nadia utilises only the sun's rays to dry her laundry, but many countries are now resorting to the sun as one of the sources of renewable energy. Solar towers with hundreds of solar panels that absorb the sun's energy have been erected. This energy can be used to heat water to form steam and, if accumulated in vast amounts, the steam can move turbines and generators to produce electricity. After Nadia's success in reducing her home's power consumption, she is trying to practice other simple green methods and utilises green technology products that are power-efficient. (Malaysian Standards point that a product shows its power efficiency rating in a scale of one to five stars. Buyers can evaluate this on the power standard label when buying a certain product). Among the green practices that can be done by individuals like Nadia are recycling, reducing the amount of garbage disposed, giving priority to environmentally friendly products, using public transport more frequently and prudent use of treated water. At a recent forum on green technology, several non-government organisations (NGOs) said the government is serious in encouraging the use of green technology through measures such drafting the green technology policy, setting up a ministry specifically for this technology and developing green technology. However, they expressed reservations about whether the society really knows what green technology is. 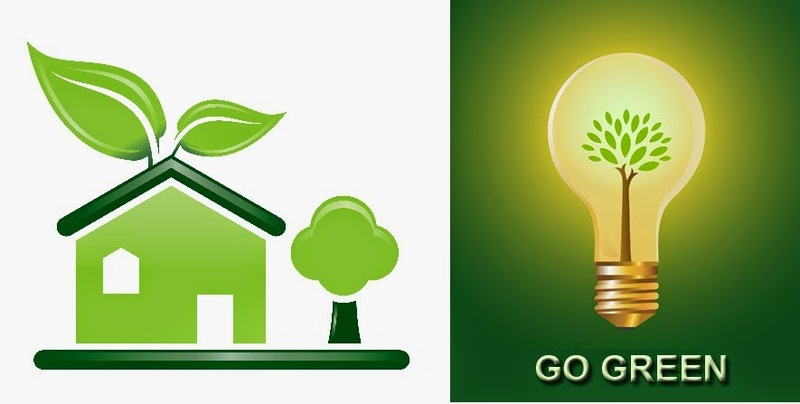 Green technology refers to development and product application, appliances and the system to conserve the natural environment and surroundings, to minimise human activities detrimental towards the environment. Green technology is environmentally friendly. Low-carbon technology reduces emission of carbon dioxide and other greenhouse gases into the atmosphere that can contribute to climate changes. This technology deal s with environmental issues such as pollution, depletion of natural energy resources and global warming. A panel member at the forum said innovations such as the solar tower can be promoted among the public. "The bicycle is seen as one of the best examples where the existing green technology is retained and encouraged to help people conserve the the natural environment," said the panel member, adding that the important issue is awareness of giving priority to quality of life, avoiding wastage, reducing energy consumption and conserving the environment. After educating the society on the 3R campaign - Reuse, Reduce and Recycle - it will be wise to encourage people to adopt green practices. as this is the way to have innovations in green technology for a better future.